Team FELDSPAR, led by Dr. Amanda Stockton (Georgia Tech), hiking through the lava field of Holuhraun, in Vatnajökull National Park, Iceland. This photo is a still from a brand new NASA Astrobiology video documentary series entitled, Astrobiology in the Field. 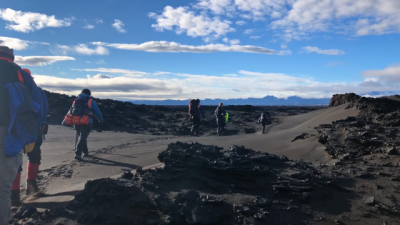 This episode focuses on how Dr. Stockton and her team are exploring volcanic regions in Iceland to better understand how we should search for life on other worlds, such as Mars. Greetings from one of the most remote locations on the Earth! In the photo, Thom Edwards is talking to the server administrator, Shane Coyle, in Virginia on the Iridium phone to confirm that the system is working correctly before we returned to South Pole station. This platform is one of six autonomous platforms along the 40-degree magnetic meridian designed to monitor the near-Earth space environment, or geospace, with unique measurements from multiple instruments. 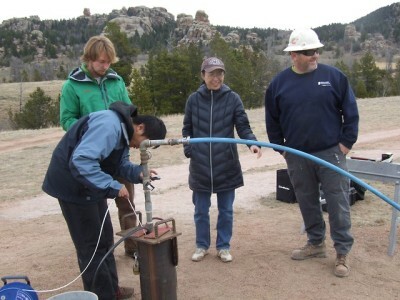 The first station in the chain was deployed in January, 2008 and has been operating unattended since then. Most stations have required no maintenance, but a communication problem made it necessary to undertake this maintenance trip. Now all six stations in the array are working properly and sending data back to the US in near realtime! (Photo by Zhonghua Xu). The Luquillo Experimental Forest in Puerto Rico is rapidly recovering from the devastation of Hurricane Maria. Although the upper canopy remains broken, the greater openness has led to a very lush understory. But the interest of our group from the Oak Ridge National Laboratory is in what’s happening below the surface. 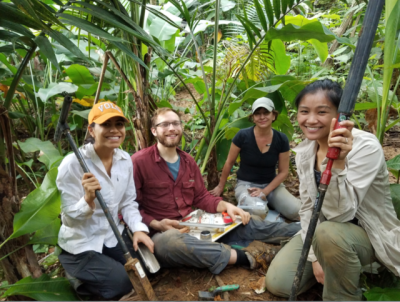 Armed with soil coring equipment, Daniela Yaffar, Nate Stenson, Joanne Childs, and Kristine Cabugao (with Rich Norby behind the camera), collected soil and roots down to 1 meter at four sites that vary in their phosphorus fertility. Our goal is to collect data on the root-soil-phosphorus interface as a function of depth in order to inform an Earth system model. We all got plenty dirty, but the reward was being able to cool off in the ocean nearby. Colorful microbial mats composed of photosynthetic cyanobacteria (dark purple layers) and chemosynthetic microbes (white patches) thrive in the cold, oxygen-poor, sulfur-rich waters of submerged sinkholes in Lake Huron. The carbon and oxygen cycles of these microbial ecosystems remain an enigma. Here, we are diving to monitor and sample field experiments set up to measure the changing composition of water overlying the microbial lakescape for quantifying their photosynthetic, chemosynthetic and respiratory roles using in situ sensors and follow up analyses (photo of Joe Hoyt by Tane Casserley). 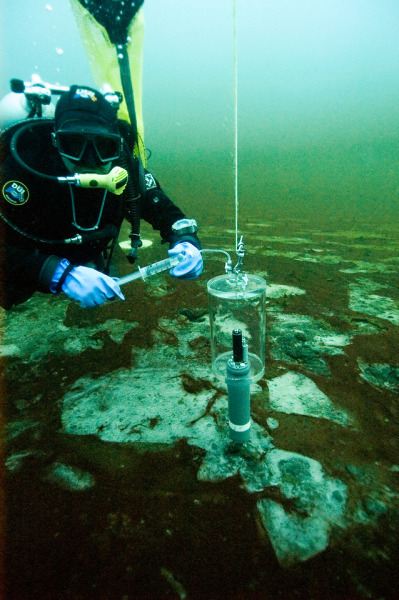 Cyanobacteria-dominated microbial mats such as this – prevailing in the shallow oxygen-less, sulfur-laden seas of the Proterozoic – may have oxygenated our planet during its youth. We are hoping our exploration of these modern-day analogs will provide clues to the life-changing phenomena that began in the distant past. I’ve never done research quite as interdisciplinary as this. 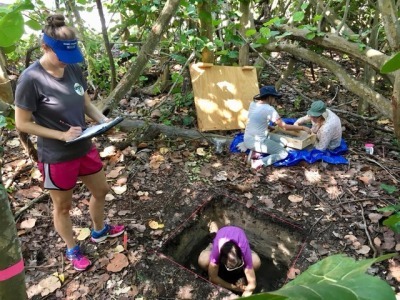 I’m working with archeologist April Watson on barrier islands of South Florida to understand how barrier island development influenced human habitation of the islands thousands of years ago. The artifacts inform us about human activity, and the sediment tells us about the environment of the tim. Digging up bones, shell, pottery, and sand in Florida during the summer makes for long, hot, humid, days, but I wouldn’t trade a minute of it! Isolated from the outside world; bad weather means boats cannot arrive/leave, so the two of us are confined to a Greenland fjord alone! But the science will go on. Stunning views over Kobbefjord, west Greenland, as we continue a week long sampling campaign to measured reactive oxygen species in the lakes, streams and rainwater around the catchment. @LiloandScience (@Markinthelab for scale!). 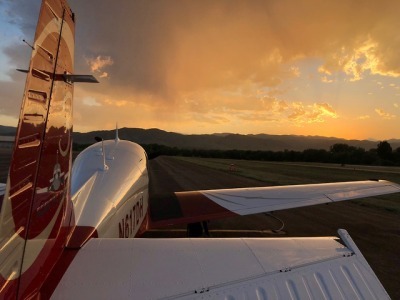 Springtime is almost over here in the Great Basin of North America, but up at 3000m everything is still green thanks to recent intrusive low pressure systems. Sage, grasses, and countless wildflowers light up the mountain landscape. 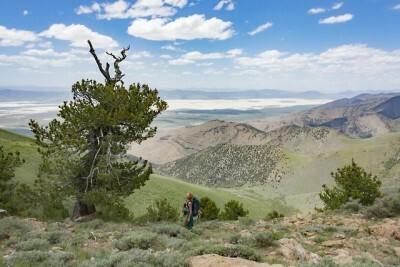 Here is senior USFS scientist Connie Millar contemplating a much more senior and very healthy Pinus flexilis (limber pine) near the crest of the Diamond Range, Nevada. These “island” populations of conifers dot the widely-separated mountain ranges in this high-desert region, still holding secrets of climate and biogeography for adventurous scientists to tease out. This photo is from an Arctic Geophysics research class that I teach every other spring. My group was in Utqiagvik (ne’ Barrow), Alaska at the end of February working on a new method for quickly determining the thickness of the sea ice. 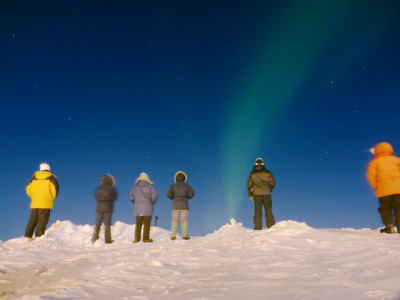 One night we saw the aurorae were out and put on our gear (it was (-)40F with the wind) to go out and see them. We got to the beach and this rise at the edge of the shore ice, and the students were just amazed. I quietly moved back and put my camera on a 30-second exposure, hoping the students wouldn’t move. I shouldn’t have worried about that since they were utterly mesmerized by this once-in-their-lifetimes event. They were astounded by the beauty of the deadly particle flux from our sun being caught by Earth’s magnetic field, and turned into this amazing, living exhibition of now-benign color.